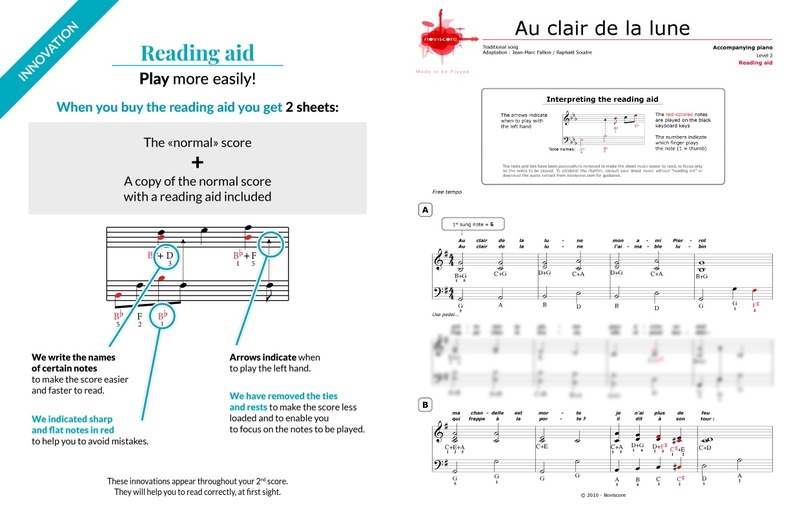 Learn to play our adaptations for piano and solo instruments of this universally known French folk song. 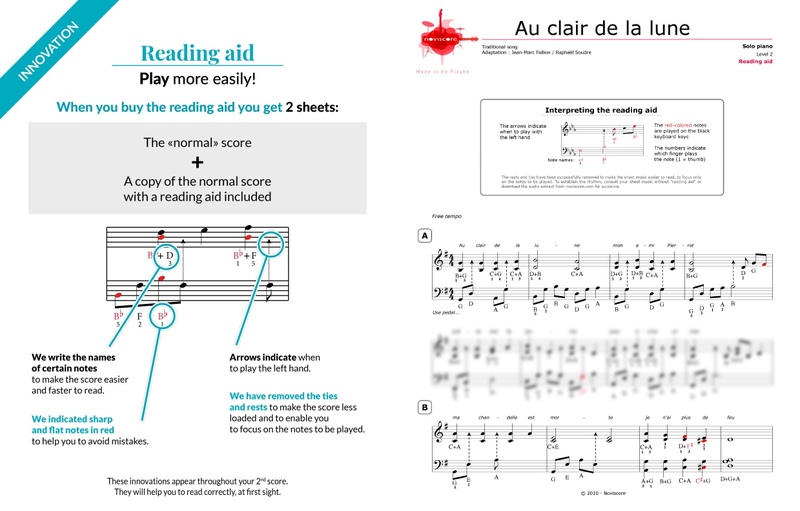 Choose one of our 3 different skill levels for piano solo or level 2 piano accompaniment. 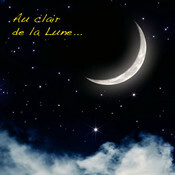 Dating from the 18th century, Au Clair de la Lune is now considered a lullaby for children and is commonly taught to beginners learning an instrument. 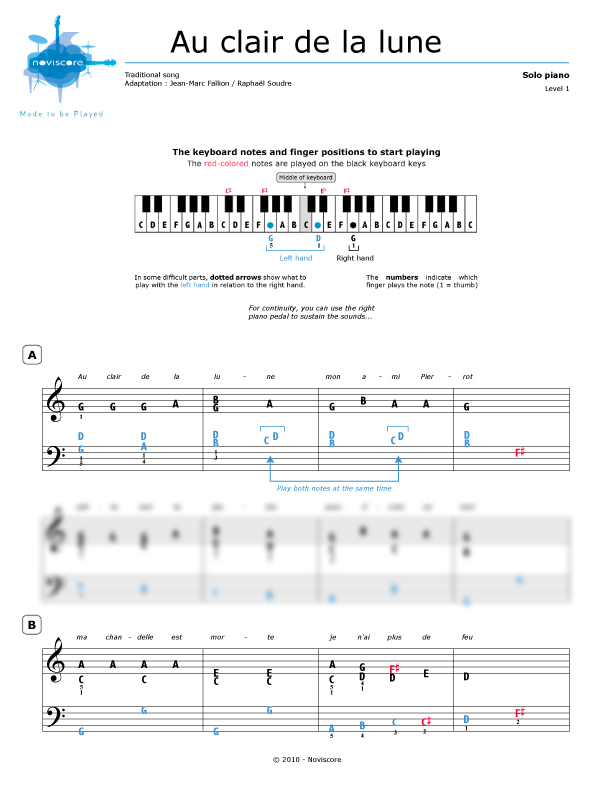 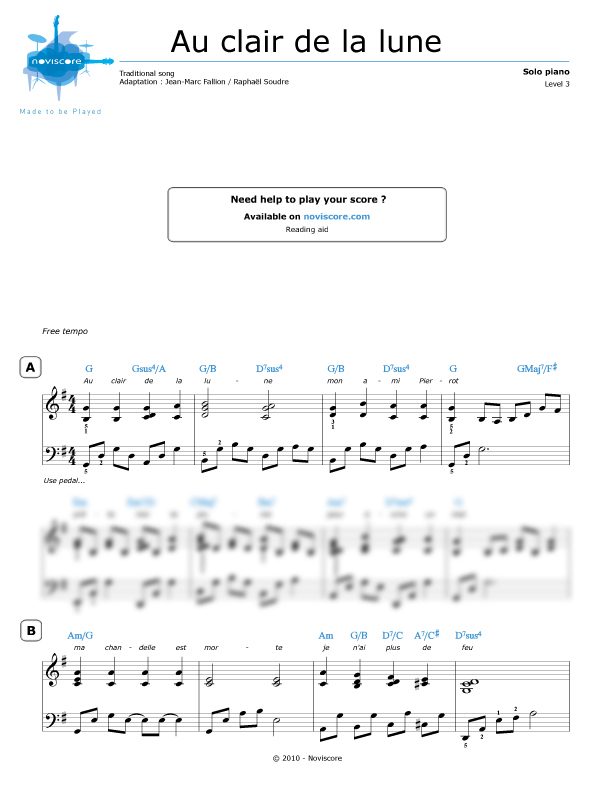 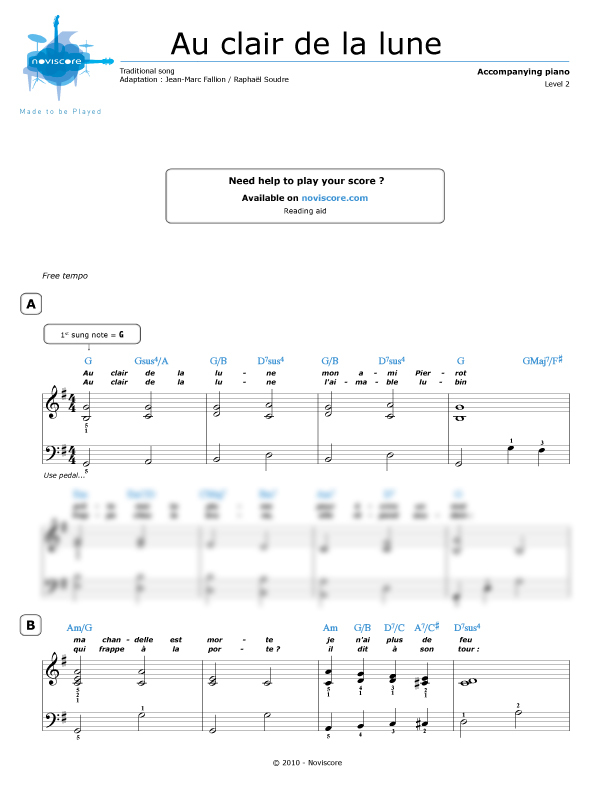 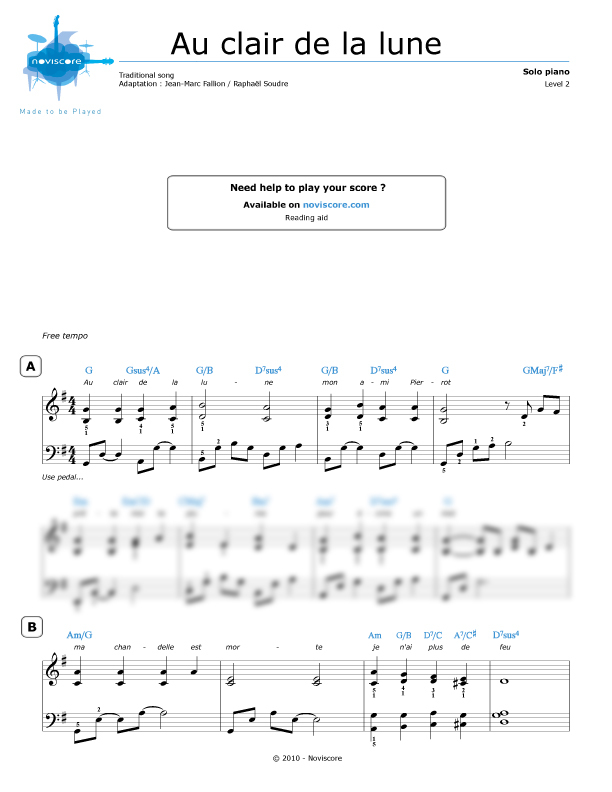 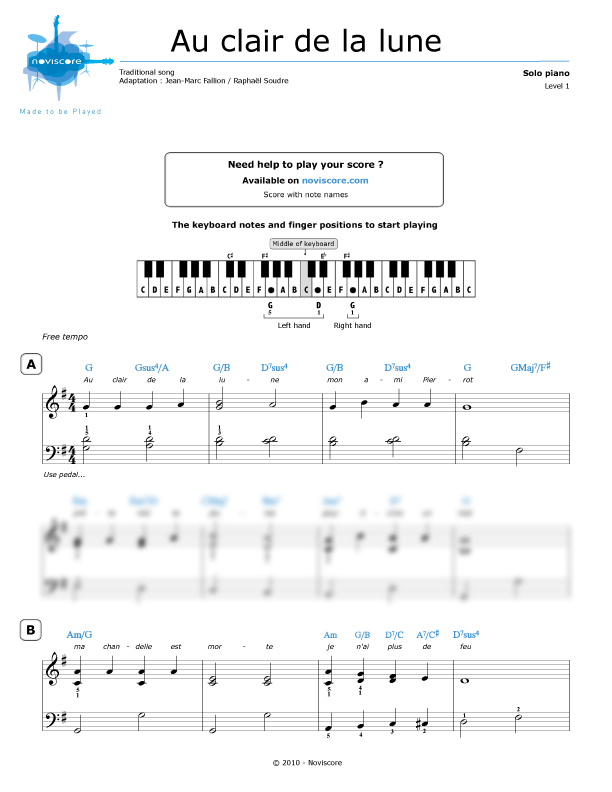 Our easy piano sheet music level 1 is available either with traditional notes or with note names instead of symbols and reading aids are on offer for levels 2 and 3.